An expression like “20th Century Women” suggests that every century creates a certain type of woman. The expectations and roles of the female in American life have changed over the years, and the twentieth century was definitely dynamic enough that each decade could have its own type of woman. Mike Mills’ very fun new film finds one very singular independent woman doing her best to raise her teenage son and, in doing so, seeks the assistance of two extremely different “20th century women” to ensure that he enters the real world of adulthood with his head screwed on straight and a proper outlook on life. Dorothea Fields (Annette Bening) is a woman who knows how she likes things. At age forty, she gave birth to a son, Jamie (Lucas Jade Zumann), and tries to teach him values as a single mother. She rents out two rooms in their Santa Barbara home, one to a carpenter, William (Billy Crudup), who does most of his work on the house itself, and the other to a hip young artist, Abbie (Greta Gerwig). 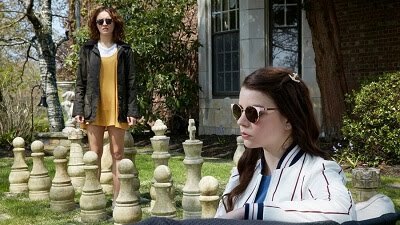 When she realizes that she is not totally capable of guiding Jamie through life, she enlists the help of Abbie and Jamie’s friend Julie (Elle Fanning), who sleeps over every night yet refuses to indulge a sexual relationship with her best bud, to raise her son and steer him in the right direction. Mills’ previous film was the wonderful “Beginners,” which in 2011 won Christopher Plummer a Best Supporting Actor for playing a gay widower who comes out at the age of seventy-five, based on Mills’ own father. That film was full of whimsical narrations to frame the story in a creative way, and his latest project uses delightful title cards to fill in the histories of its main characters and, occasionally, to cite works of literature that have influenced them. It all contributes to a wholly entertaining and enjoyable experience with some truly memorable characters. Bening is already generating Oscar buzz for her portrayal of a mother passionate about what she wants to do and completely unaware of how she is perceived by the rest of the world, a very focused and funny performance. Gerwig plays a role similar to the one she usually has but fits in well with the ensemble, as does Fanning, who, at age eighteen, has already delivered her share of strong turns. Crudup and Zumann round out a very talented cast, all of whom are clearly having fun in this energetic, heartwarming, and sincerely funny film.